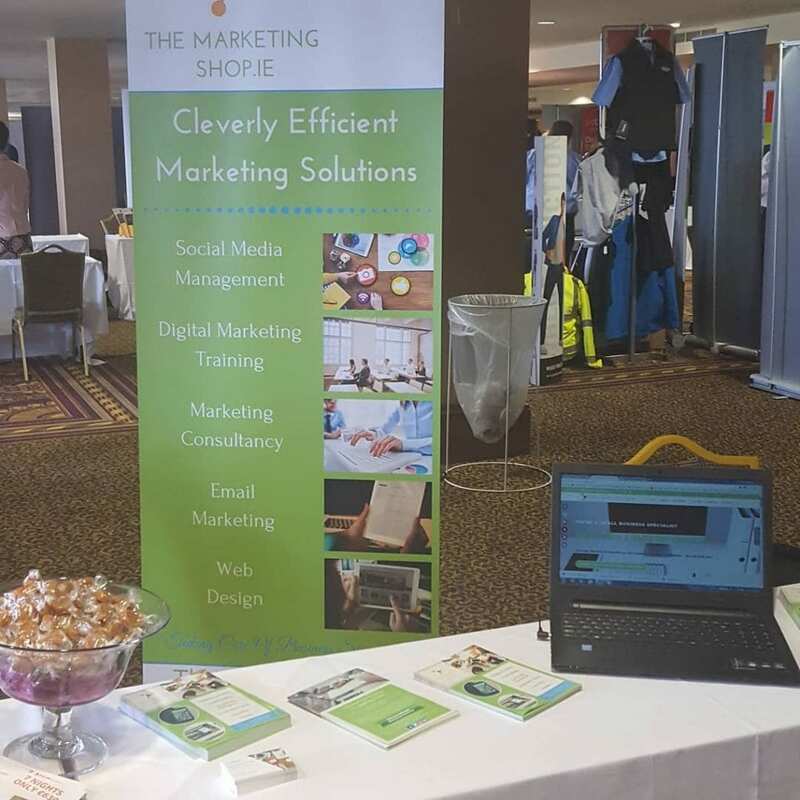 On Wednesday 25th April we exhibited at Biz Expo in Dublin’s Citywest Hotel & Conference Centre and it was a super success. It’s was a wonderful means of re-connecting with a lot of familiar faces from within the SME community here in Ireland and also a wonderful opportunity to make new connections, discuss possible joint projects in the future and of course generate some leads from those who visited the exhibition also. We’ve already made a note that it’s going to be a feature of our marketing for 2019 also and if any of our clients would like to find out more please don’t hesitate to ask and we’ll keep you updated when details of next year’s event become available – once this year’s organisers who included Barbara Gordon of WhatsWhat.ie and Alan Hennessy of KompassMedia.ie with some other wonderfully organised member of a team who did a great job have recovered from this year! A big thank you to Conor Lawlor of Clickprinting.ie who did a wonderful job on our promotional materials and those of our client Priscilla Grainger of Cully Cottage and Leitrim Lodge.